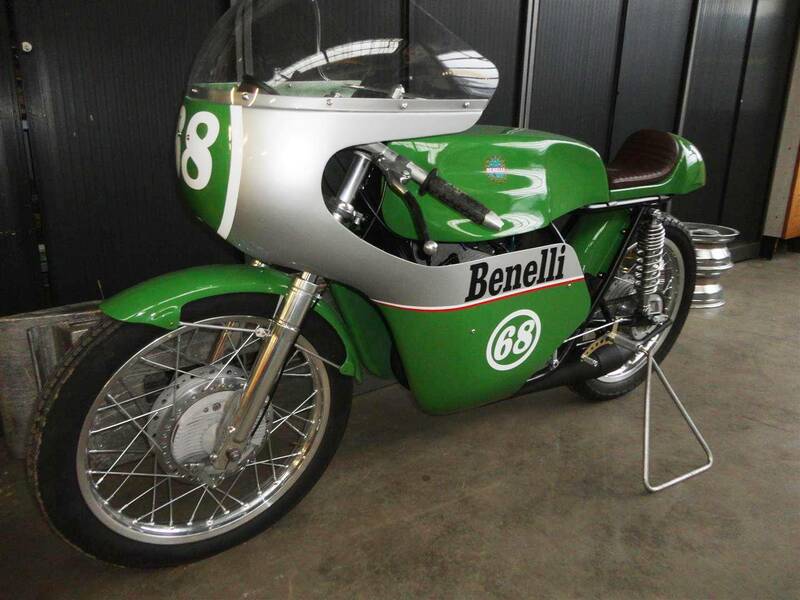 A perfectly 100% restored, like new 1969 Benelli 250CC racer 2 stroke engine. A beautiful bike that runs the way it looks. And it looks like a beauty. Big choice in bikes and mopeds in ''''the Stolze Collection''''!